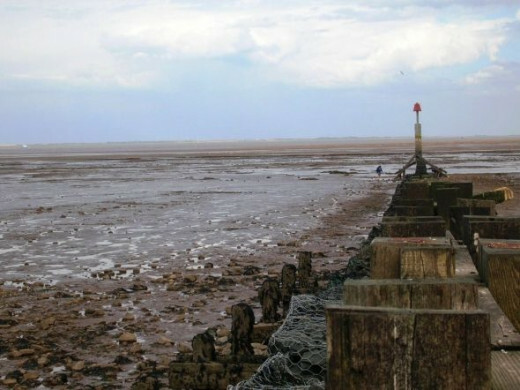 Have you ever been to Cleethorpes? 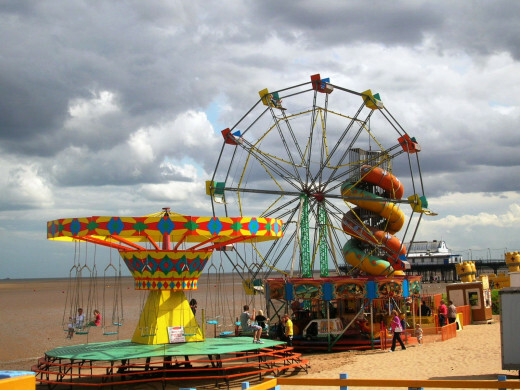 Would you like to spend a summer day in Cleethorpes? 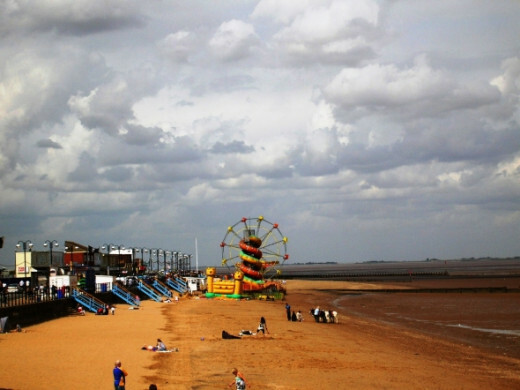 Is Cleethorpes worth a visit? Do trains run to Cleethorpes? Of course they do - I once lived there so I should know! 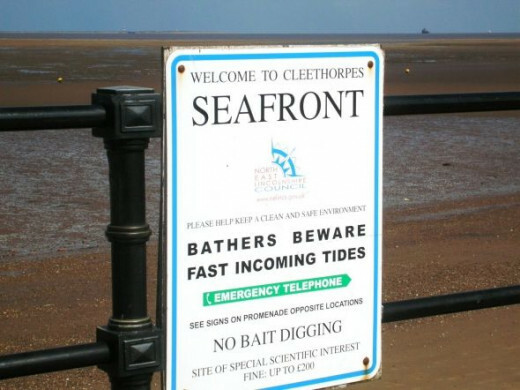 Cleethorpes, fondly remembered from my youth, is much more than a Northern town with a funny name. 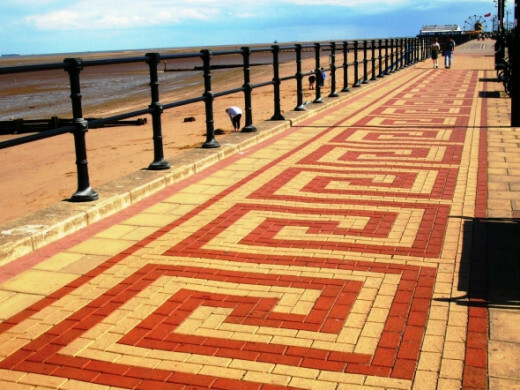 Cleethorpes is one of my special places! 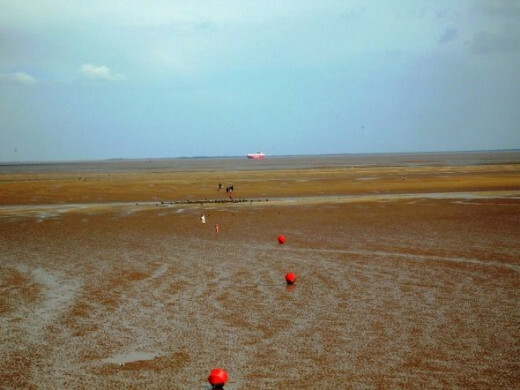 People come from all over England - and even wider afield - to visit Cleethorpes. 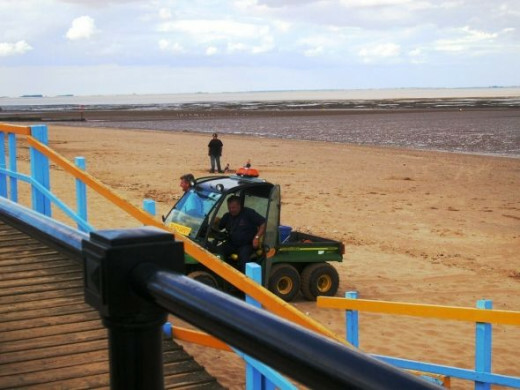 They enjoy the golden sands and traditional English seaside hospitality of this friendly resort in North East Lincolnshire. This weekend will be Autumn Bank Holiday, perfect time for an end of season visit, and as we settle into the run up to Christmas and its usual dark shivery nights, I will share some sunshine with you. 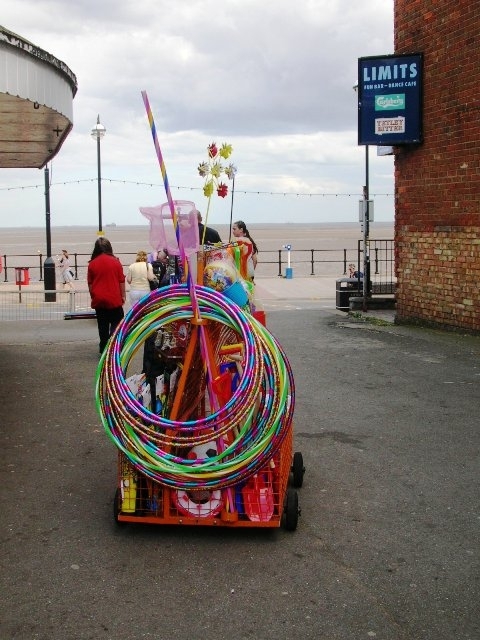 In this lens you will see some of the scenes that can be enjoyed in sunny Cleethorpes. 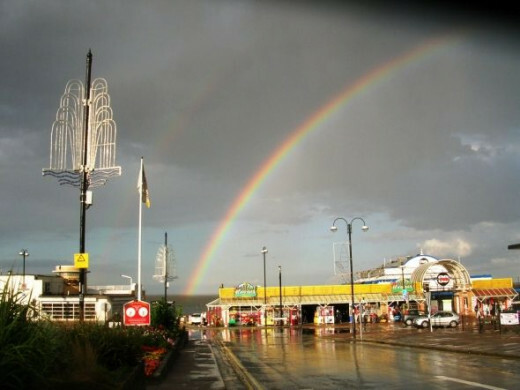 All Cleethorpes photos used here are my own work and are not available to copy! 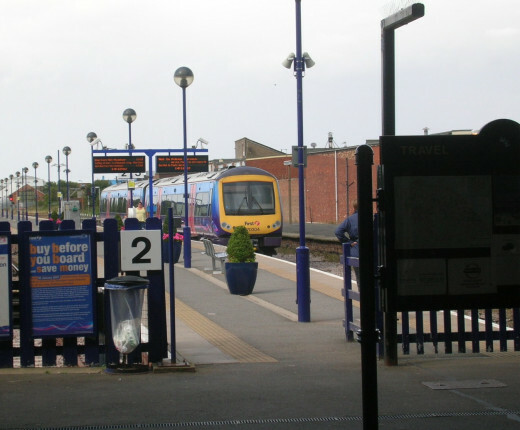 For generations of trippers, the train was the main way of travelling to Cleethorpes. These days cars are more likely to be used, but it is easy to find your way to the seafront either way. 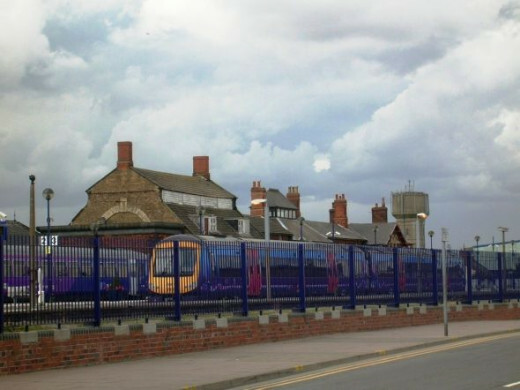 Cleethorpes station, complete with Victorian clock and wrought iron cafe, is within yards of the beach itself! 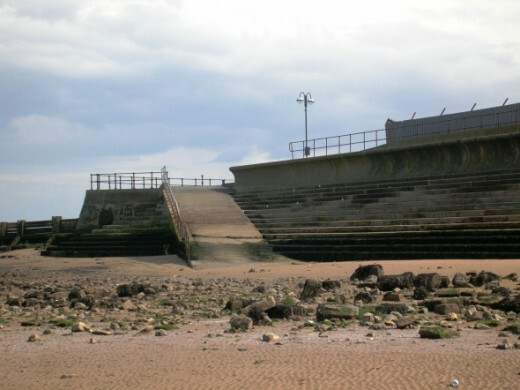 History of the town and how it came to be a seaside destination. View of the Victorian clock tower from the top of the ramp by the station. You can see just how close the line is to the seafront. This line is a terminal and trains come in from Grimsby, just down the line. 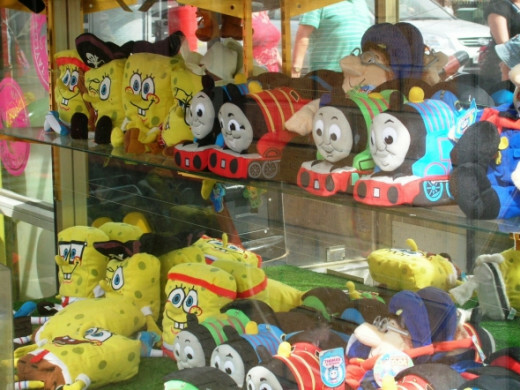 Leaving the station, you pass the first of many gift stalls where brightly coloured toys and souvenirs are available for children of all ages! After you cross the road, you can look back at the station's wrought iron architecture and the first of many cafes selling - what else but Fish and Chips! 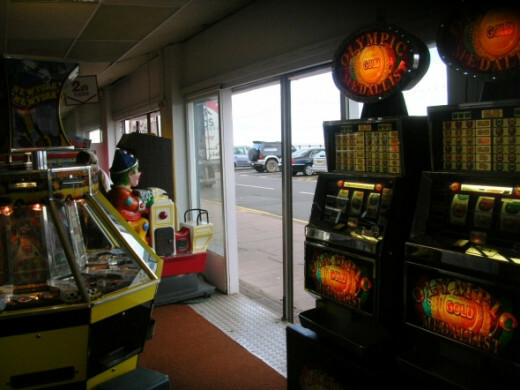 There are many amusement arcades where you can while away the hours if it rains, or if you want to take shelter from the sun even. 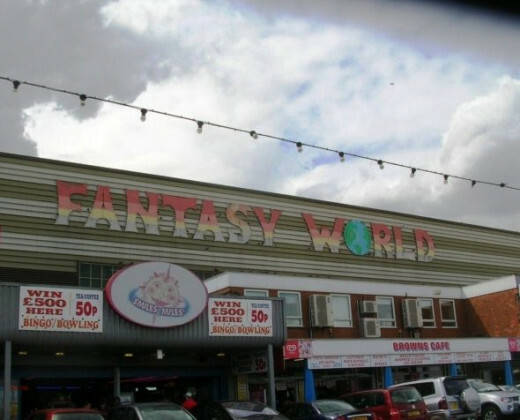 Fantasy World is just next door to the station! And on the beach itself there are the amusements for little children. (More later!) 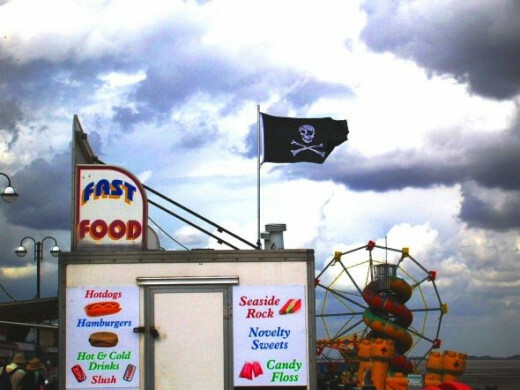 I loved the way the Jolly Roger appeared to fly dramatically over this fast food stall. Really it belonged to the pirate ship ride the other side! 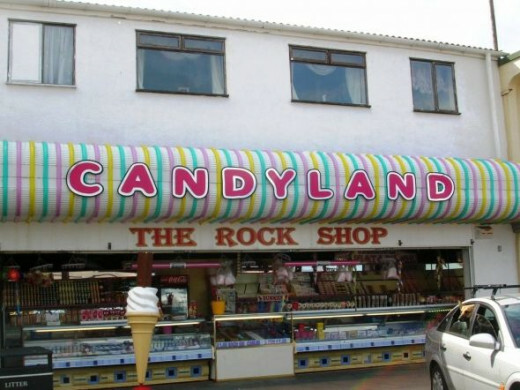 What day at the seaside could be complete without its candy floss and lettered rock. 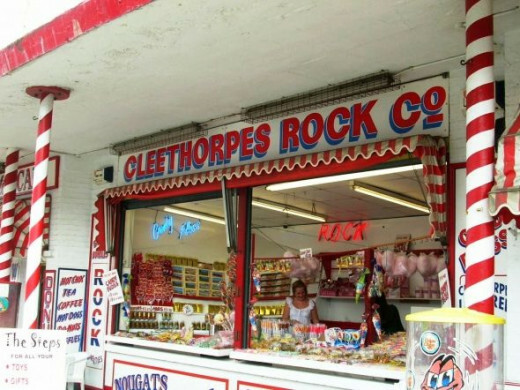 Cleethorpes in every bite of course! Pier 39 used to charge admission when I was little. 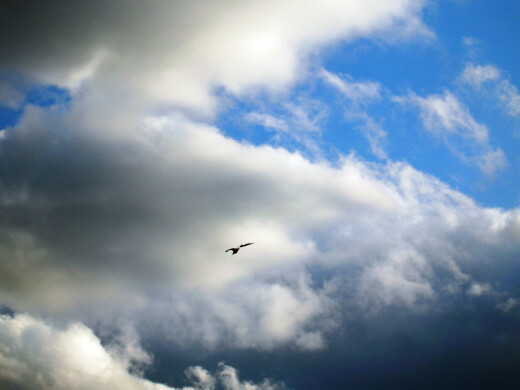 It is now free, but nothing much happens in the day time. I think it comes to life as a nightclub. Gone are the days when you paid to go on and saw shows or played with the amusements there. Under the pier we see the seaside donkeys. Some things never change. Little children queue up to ride the patient little animals and we can but hope they are well treated these days. 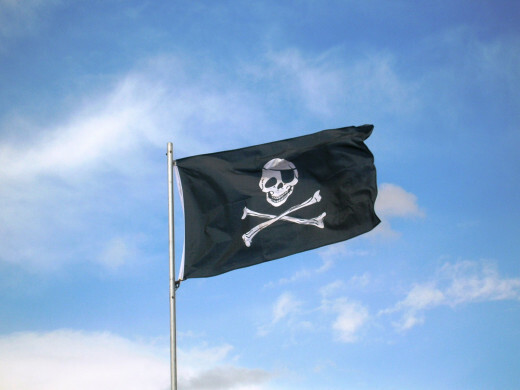 Shiver Me Timbers..... so much to do at Cleethorpes! Avast ye lubbers, Cleethorpes Ahoy! So much to see! The seafront stretches for a mile, the golden sand stretches even further. 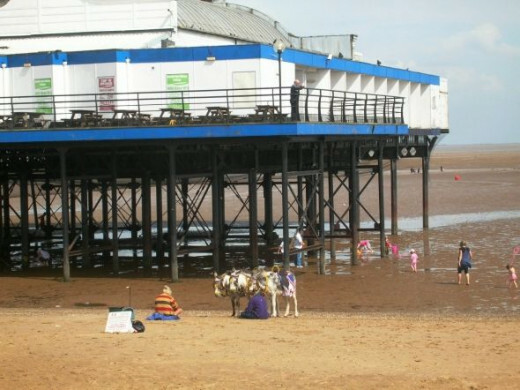 The tide is out so far we can't swim yet, but there is donkey riding, sandcastle making and, yes, those fairground rides.... Off we go to explore beyond the pirate flag! A crab's eye view of a sandcastle. Oh the happy hours spent making these! Not for us Brits the manicured and set sand sculptures over the Pond. 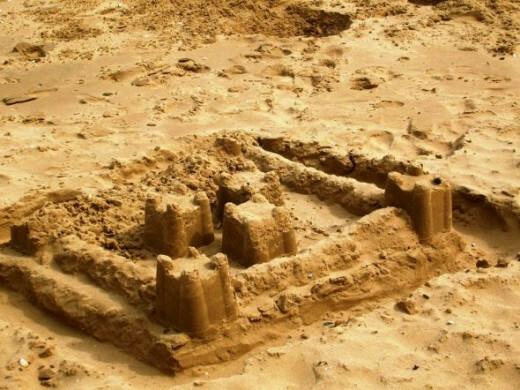 Eternally the amateurs, we prefer our small scale work with bucket and spade. The fort is complete - for just an hour or two we can admire the work! Or, if small enough, we can ride along the sands astride a lovely donkey. 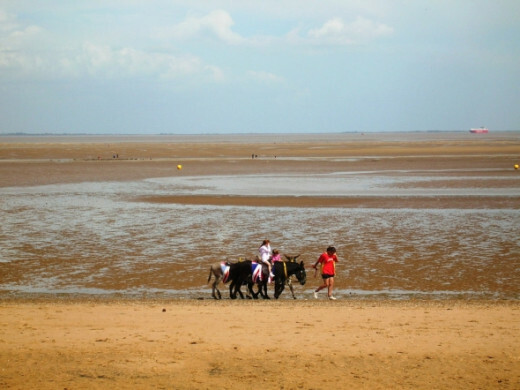 There have always been many donkeys on the beach at Cleethorpes. 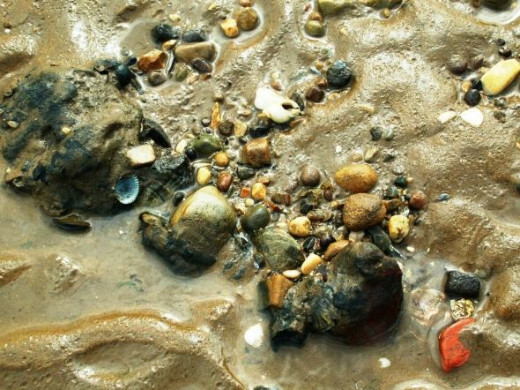 There are very few pebbles here, and those are small, although there are rocks further along towards Grimsby, marshes in the opposite direction towards Humberston - and plenty of tiny sea shells! The notice here warns against bait digging and faster tides. 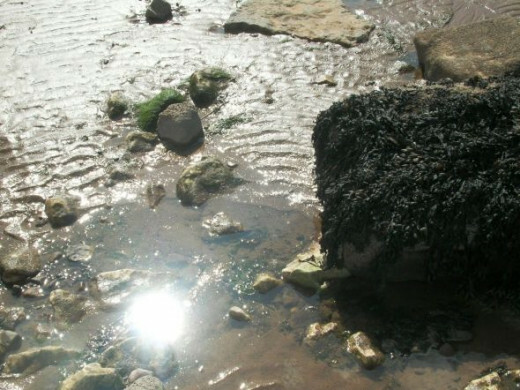 Bait digging is a problem because the holes interfere with the integrity of beach sand. 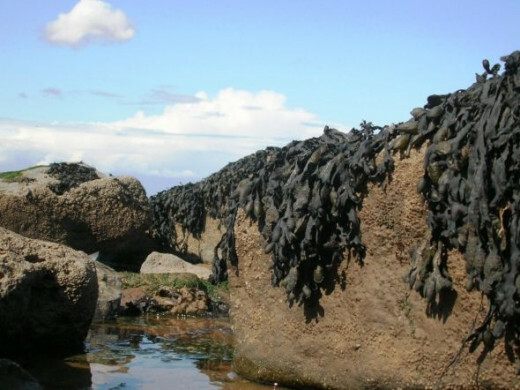 They tend to silt up and produce sinking sand. For this reason digging is confined to speific areas. These "alligators" are really petrified timbers. Where once was forest, now there is sand and mud - the forest is petrified. Here you can sink inches down with each step even at low tide. 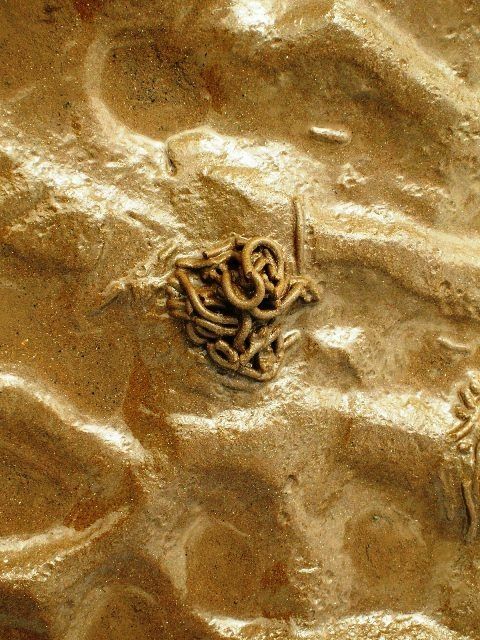 The sand here reveals wave patterns showing how strong the currents are and also a worm cast. At this end there are many lug worms in the sand - and fishermen love them. Back to the more sociable end of the beach, looking along toward the childrens' amusements. There is a snake helter skelter, and a dragon ride, big wheel, bouncy castle and swing carousel. There is also a four wheel drive beach buggy to round up those foolhardy enough to walk right out to sea when the red flag is flying. Once the tide turns it will cover the whole beach in less than an hour! Moving over the road from the children's rides, we can find plenty of other amusements for young and old alike. 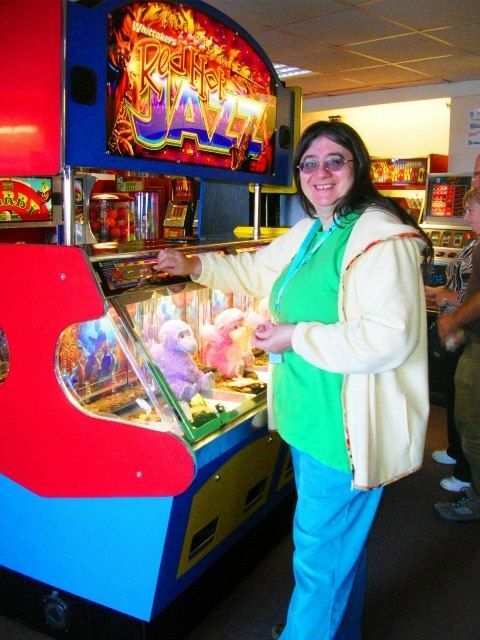 Noisy arcades full of shove halfpenny machines, video games and cranes, bingo, putting, cafes, fast food, sweets and rock to tempt sweet toothed grandmothers and grandchildren alike. Here you can two pence pieces into the shove halfpenny machines (inflation? decimalization? who knows?) Never have so many lost 5 trying to win a toy woth 25p and still walked away smiling. Meanwhile the professionals with bags full of change look for machines just ready to tumble down an avalanche of copper. One play - two plays - and another bag is full! Such is the glory of the British summer! Oh, the goodies in this store. It is just as well I don't have a sweet tooth or I might be doing myself some real sugar damage! Oh my! 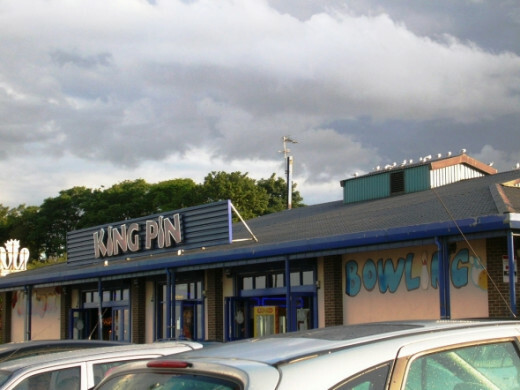 A bowling alley! Just what we need if it rains! 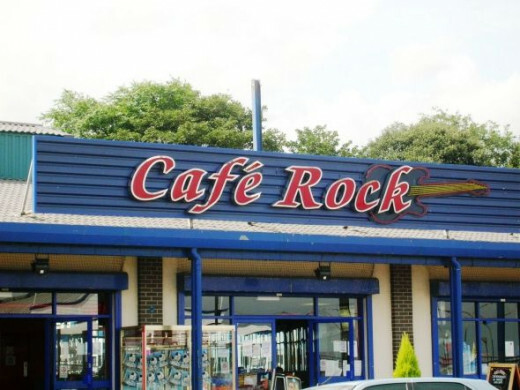 And even more Cleethorpes Rock on show! I think we really need to walk it all off, don't you? 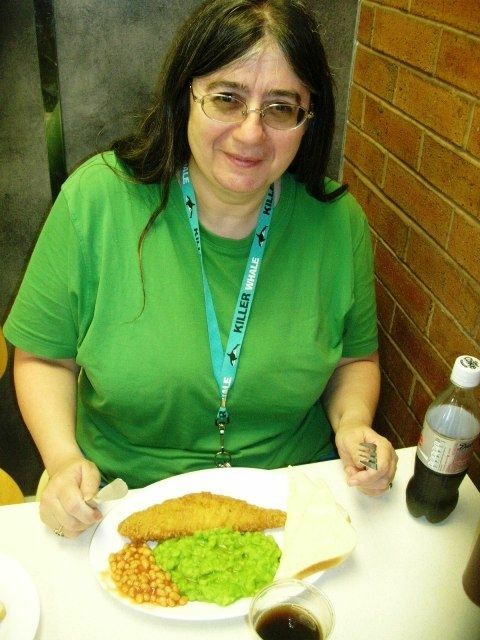 Or in my case fish and mushy peas, minus the chips, and diet coke - got to watch the waistline! Here we see someone who is old enough to know better and young enough not to care! After all the noisy machines in the arcade, the big meal in Brown's Cafe and the bustling crowds, we envied the gulls their lightness! 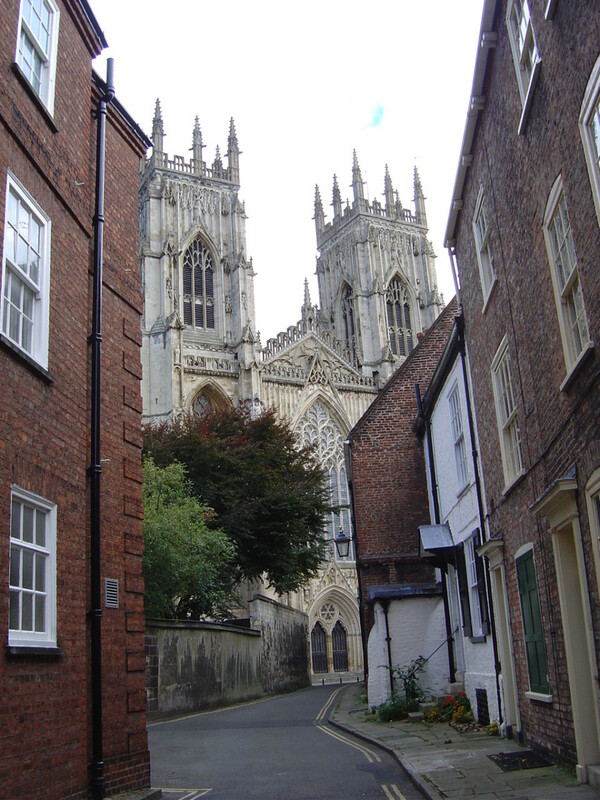 If you are planning a visit, you might like to check out some of the accommodation on offer. 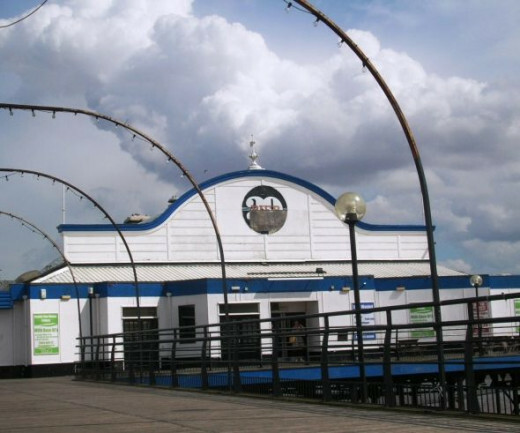 Find discount hotels in Cleethorpes at LateRooms.com Check reviews & photos. 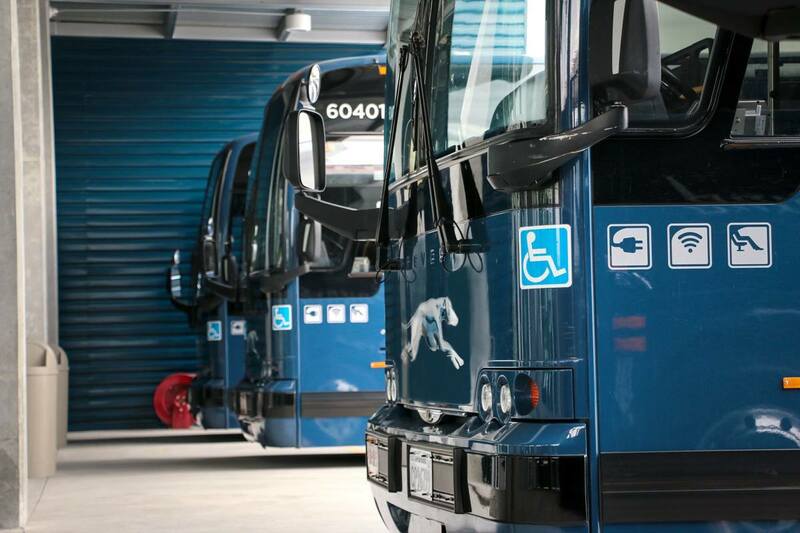 Book online or by phone. Instant confirmation. 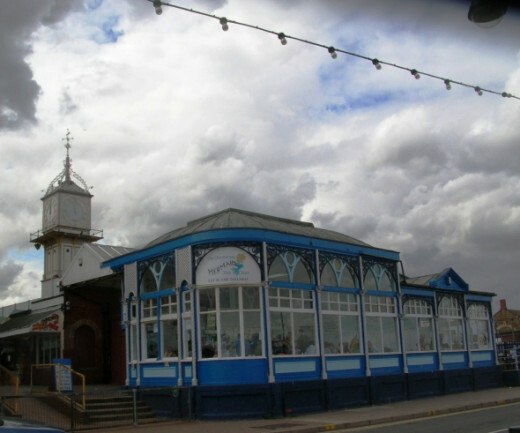 Cleethorpes Hotel Deals: Find great deals from hundreds of websites, and book the right hotel using TripAdvisor's 150 reviews of Cleethorpes hotels. 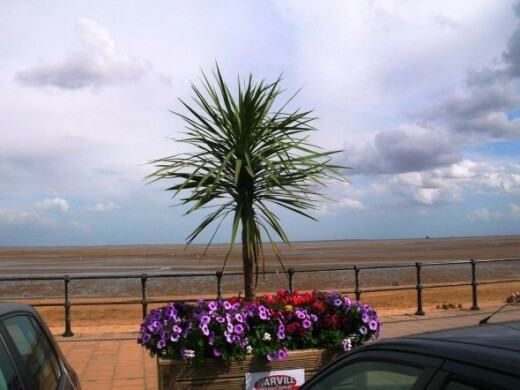 Cleethorpes hotels, bed & breakfasts & places to stay with WiFi / Internet Access in rooms from 24 - Book today, pay later! information summarising studio 47, cleethorpes. 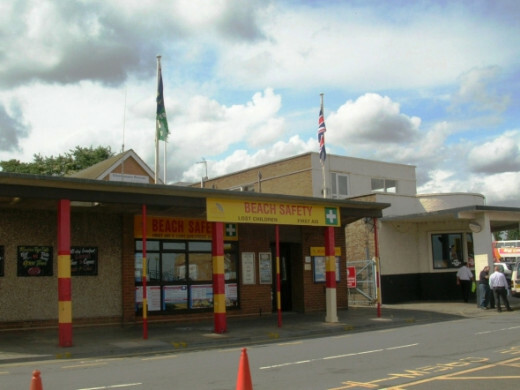 View & book pet & dog friendly Hotels & B&B in Cleethorpes UK. Best range of pet friendly places to stay at the best rates from just 27 a night. 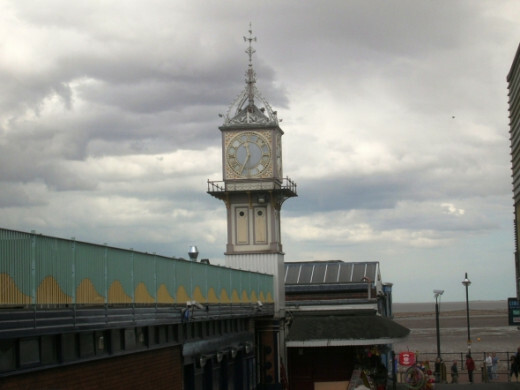 Informational website showcasing Cleethorpes, North East Lincolnshire. Includes a photo gallery of nearby locations, local business directory, history of the town and more. 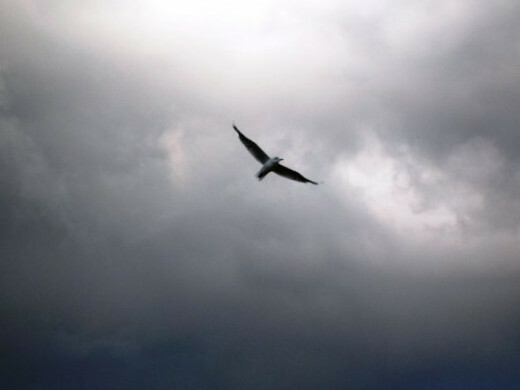 We followed the gulls to their roosting place over the breakwater. I climbed the rocks to take this desolate shot of the groyne leading out to sea. Here the sand is muddy and sticky. You sink into it. 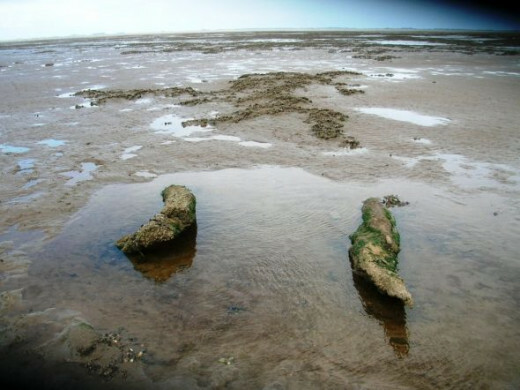 These are Cleethorpes answer to rock pools. I searched in vain for crabs and anenomes but found only dead crabs. My guess is they had burrowed into the soft sand to escape the baking sun and the gathering gulls. Here you can see where the beach ends and the sea defenses begin. The wall carries on from where I was standing to protect the terraced houses near the Blundell Park stadium from another great flood. 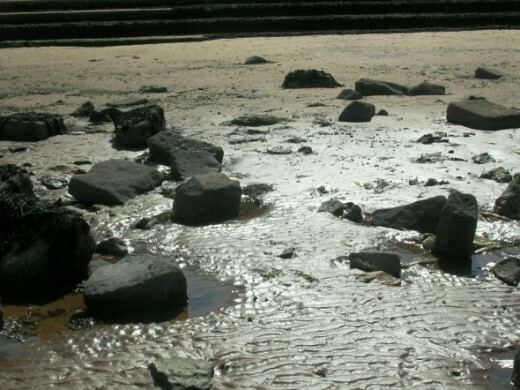 The pools may have dwindled in the low tide, but the sun made some interesting reflections. This one is like the surface of some strange planet. 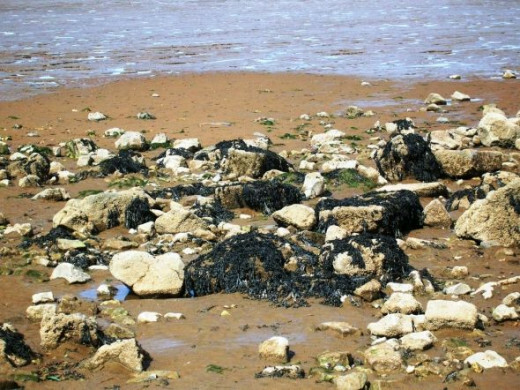 When I was small I found a large crab near here, took it home for a week, then released it again because it blew foamy bubbles at me! 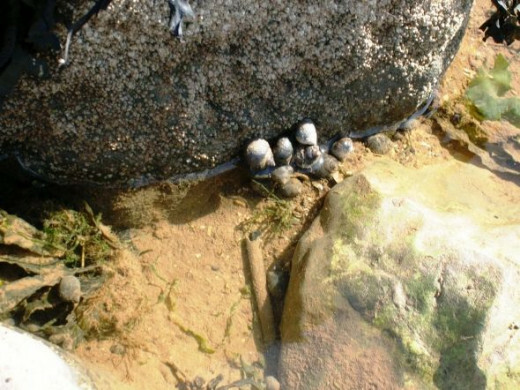 A few periwinkles, less than I remember. Pollution? Another crab's eye view of one of the few pools. On our return the Heaven's opened very briefly, then just as quickly the sun shone brighter than ever, Here is the result. Look very closely and you will see a double rainbow! 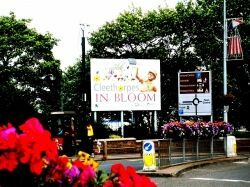 And back to where we started, with Cleethorpes In Bloom. 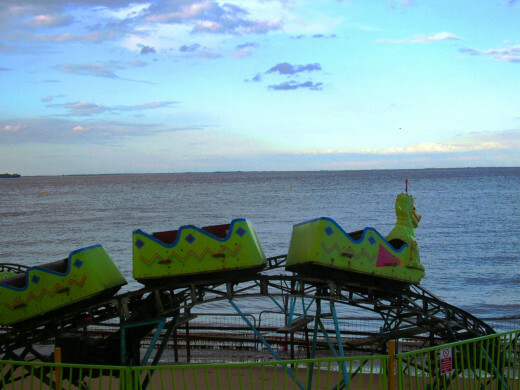 The tide was high, the sun was sinking, amusement arcades were winding down after their long day. Soon revellers would fill pubs while families returned to seaside boarding houses to dream of what they would do next day! I drove home - train connections not being what they used to be and home being only an hour away. It had been a glorious day! Having lived for many years in Cleethorpes, and having cycled vigorously up its small hill when much younger and fitter, I find the whole idea of any sort of clifftop a little funny. To me, this rise of maybe thirty feet is a little bit like calling a Crown Green Bowling area a hill! 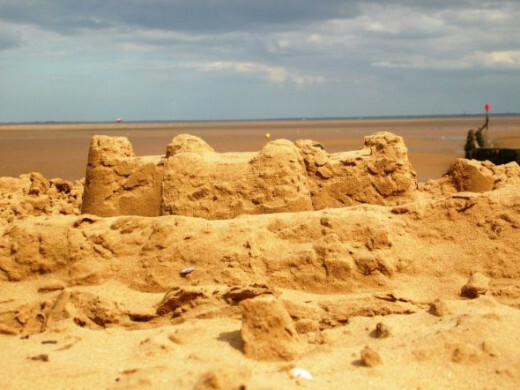 However, any search on the net will find that Cleethorpes does indeed have a clifftop castle, albeit a very small castle on a very tiny cliff! This castle, Ross Castle, reputedly a medieval tower was, we are told, in fact built by the Manchester, Sheffield and Lincolnshire Railway Company between 1883 and 1885. 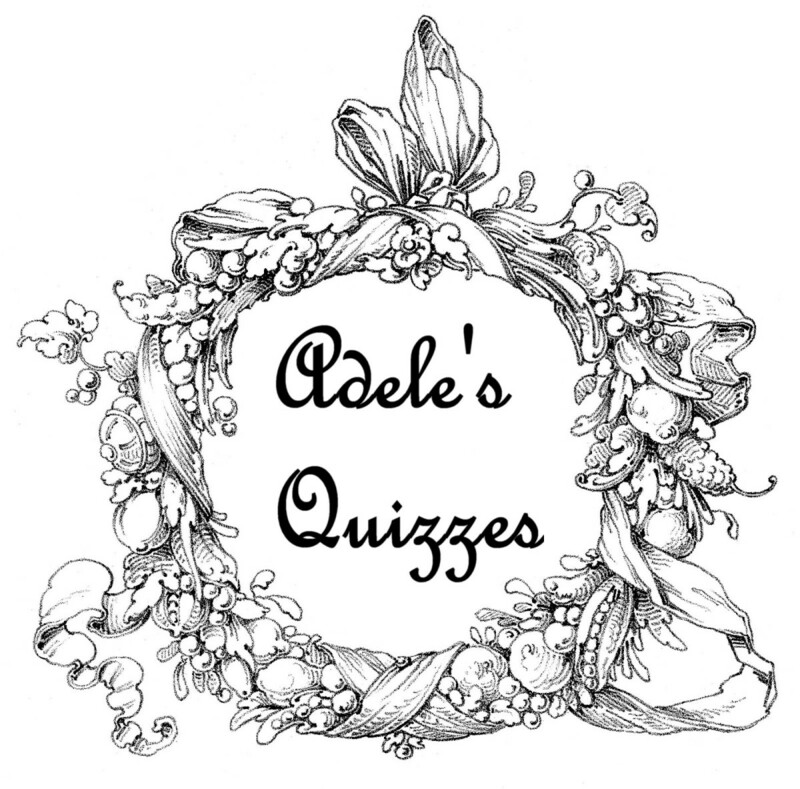 The name comes from company secretary Edward Ross. 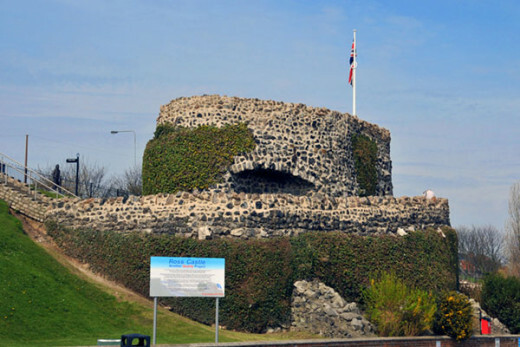 Little as it is, Cleethorpes Clifftop Castle has been the scene of accidents, the last being the tragic death of a 64 year old Cleethorpes woman, Jacqueline Borum, who fell from the castle on January 9th this year. I have never been to Cleethorpes. I hope I can visit sometime, I looks beautiful. Hi there, I was born and bred in Lincolnshire, back in the late 1950's this was a monthly trip we used to take on my dad's motorbike. 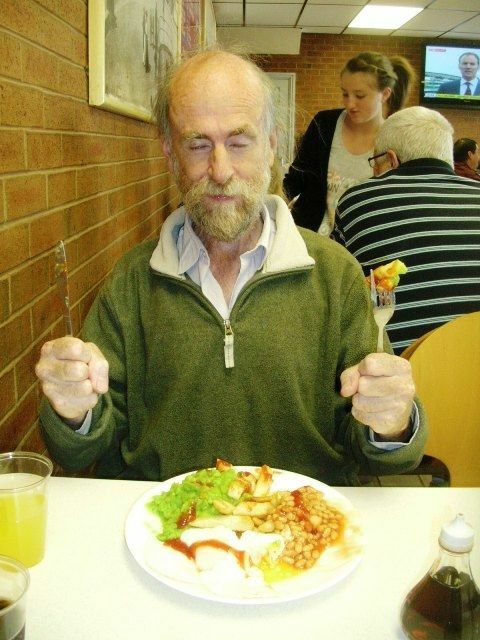 Now i am living in hong kong, but was back in the UK last summer (2009). Of course there had to be a trip to Cleggy (as we affectionately called it). Believe me, it hasn't changed very much since then. A really amazing part of Lincolnshire, and as a local i can recommend a day out there to everyone. 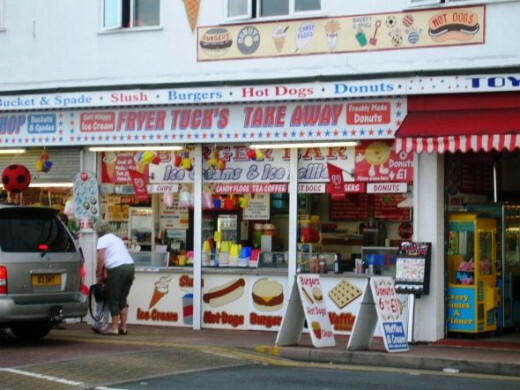 Just one thing - all the talk of things to do, but no mention of fish and chips on the seafront. Anyone who goes to Cleethorpes just has to try the fish and chips. A day at the seaside without fish and chips is an incomplete day out. Good lens though, it brings back memories. Looks like there is a lot to do in Cleethorpes! If and when I get to England, I must visit! Thanks for sharing. 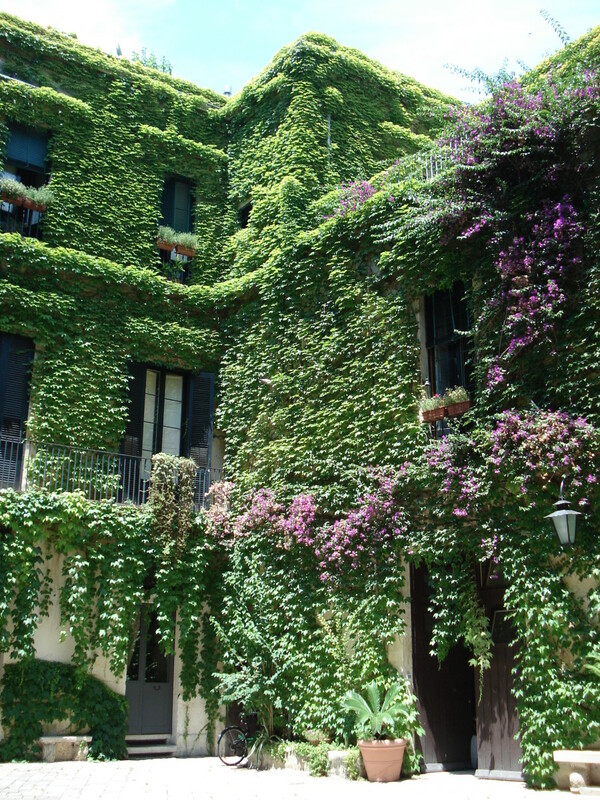 This lens is lovely and interesting and I would love to visit someday. So many beautiful lenses on England and this one especially. Some day I would like to visit. Okay, I'm ready for a vacation to Cleethorpes! No, I've never been there. Looks like a great place to spend the whole day at - you did a great job in presenting it. The pictures are really beautiful - you put in a lot of work into this lens - great work!